AI can create tremendous value in construction. First, start with an extensive, high-quality database of past results and then develop machine learning processes to make predictions. Our favorite example is using AI to create new construction schedules by exploring thousands or millions of scenarios. Image recognition is another way to use AI in construction. You can use AI to analyze photos of materials on the job site and identify materials at risk, or watch for high-risk trends in worker behavior. If you're looking for AI to use right now, keep in mind that it may have a different name. Some companies prefer to use the term “machine learning” or “algorithms” to describe the same capability. AR first became well known to the public through gaming and gadgets. However, AR is now coming to the construction site. Picture the following scenario: a construction worker wears Google Glass and receives updates on work. For instance, AR can deliver relevant safety warnings when a worker becomes tired and needs rest. AR can also provide data such as temperature, pressure, and other data points when requested, so workers can proactively identify problems. 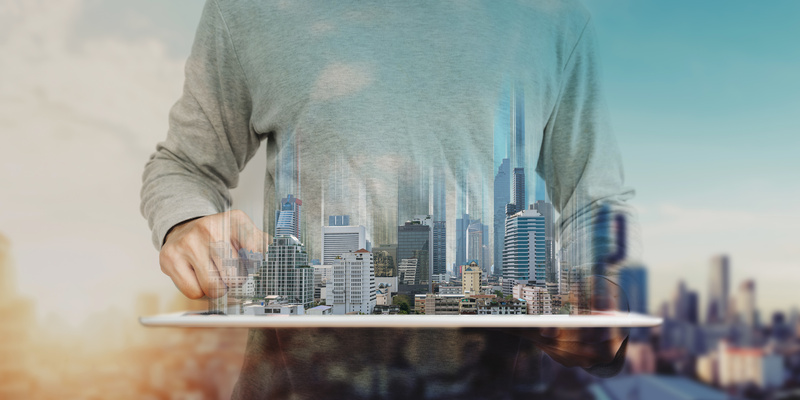 Building owners want more analytics and IoT capabilities in their buildings. As a result, we predict that the construction industry will develop greater IoT expertise. Specifically, installing, testing, and improving network-connected sensors in buildings will become more popular. This will give building owners the capacity to manage heating, cooling, security, and energy usage more efficiently. In the short run, consider outsourcing IoT work to specialized firms. To stay competitive in the long term, you'll need to develop this capacity internally. The days of building homes from scratch are coming to an end. Instead, we predict that modular construction will become more popular. This prediction is enabled by the increasing sophistication and affordability of 3D printers. Speed is another critical factor. In an age of same-day Amazon delivery, customer patience for long construction schedules is diminishing. How important is the modular construction niche? A 2018 market research report found that it's already worth more than $100 billion annually. The category is also expected to grow at over 6% annually from 2018 to 2023. Compared to our other predictions, this one is a bit more “out there.” However, these devices do exist, and there's interesting potential. Just think about “wearable devices” writ large, and you have an exoskeleton. These devices help construction in two ways. First, they increase worker safety by reducing exposure to hazards on the job site (i.e., workers can avoid touching hazards directly). Second, construction workers can access increased strength. Ekso Bionics is a leader in the exoskeleton space; keep an eye on the company to see how the technology develops. For more insight into exoskeleton technology, check out this article about an exoskeleton suit that allows construction workers to lift 200 lbs. In large-scale construction sites such as resorts, mines, and commercial properties, it's difficult to get around efficiently. That’s why we're going to see the rise of autonomous vehicles, also known as self-driving cars. Unlike self-driving cars on public roads, construction self-driving cars will become more popular because they have a smaller environment to operate in. Mining company Rio Tinto has already started using autonomous vehicles in some of its mines. Such vehicles are a good way to make the most of limited construction personnel. These vehicles are also an excellent way to increase efficiency since these vehicles don’t rest. In contrast to exoskeletons and AI, the connected job site is already here. We predict that companies will work much harder to deploy this technology. Efforts to eliminate paper forms will pick up in 2019. As a result, construction companies will need to use digital forms to deliver information to others on the job site. By fully leveraging the connected job site, construction managers benefit in two ways. First, they receive better information from the site without the need to travel every day. That means less wasted travel time and faster decisions on changes. For employees, it means less frustration waiting for the head office to respond to you. Use Device Magic’s Enterprise Solution to bring the power of the connected job site to your team right now. Unlike exoskeletons and autonomous vehicles, it's a construction technology that's ready for use right now and wouldn’t break the bank.